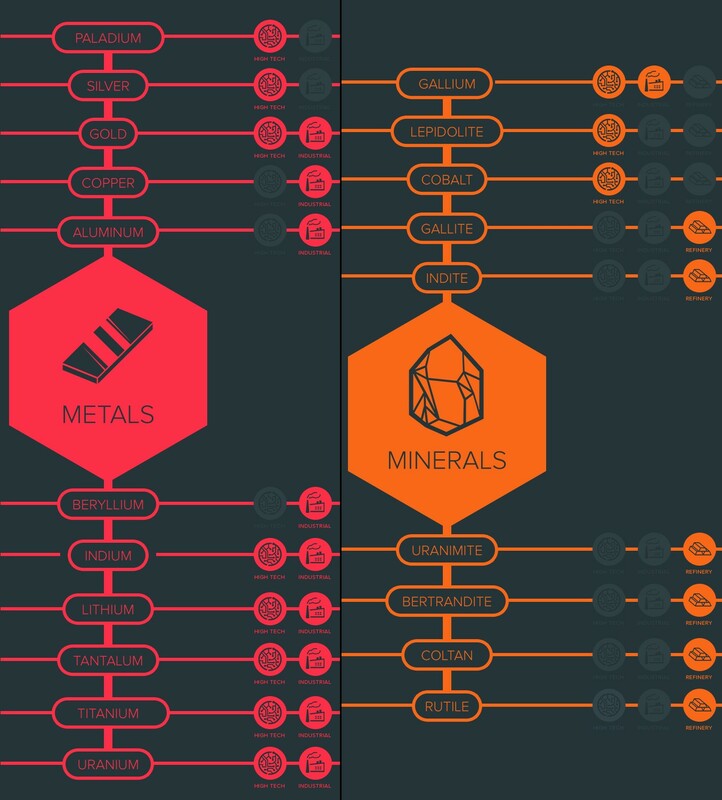 Are you fond of Minerals and Metals? Have a seat, and learn the ropes of the real Miners with our Complete Miner Guide! 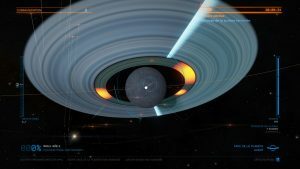 You will learn how to understand the values of what you’ve mined, how to best outfit your ship, how to find better asteroids fields and how to make profit out of it. Why should you become a miner? Mining means Gross profit while you directly mine the metals, minerals and materials that can be found in the giant asteroids fields floating around large celestial objects. You also have some unique outfitting opportunities that makes the role feels unique: Deploy drones to prospect and collect, mine these big rocks into chunks, process your gathering, and refine them thanks to your refinery! 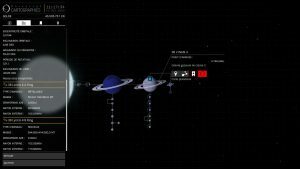 You will then be able to sell these metals and minerals to diverse starports depending on their economies in order to get the most credit our of your mined items. The materials you found out there will also be really helpful for your Synthesis and Engineers schematics. 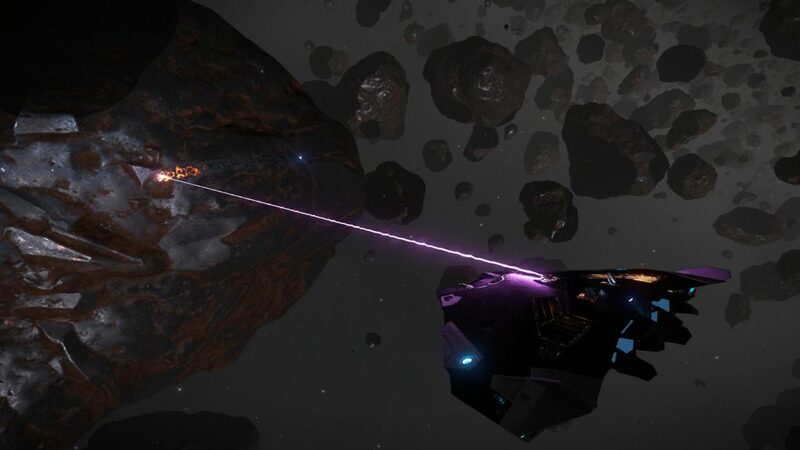 Equip the appropriate outfit: Prospector and Collector modules, refinery, one or multiple mining lasers, a minimum of 20 free units in cargo, powerful lights. Have a large freighter in order to stock your drones and mined items. Materials don’t take any space in your cargo and are stored separately, you will not lose them if your ship were about to explode. 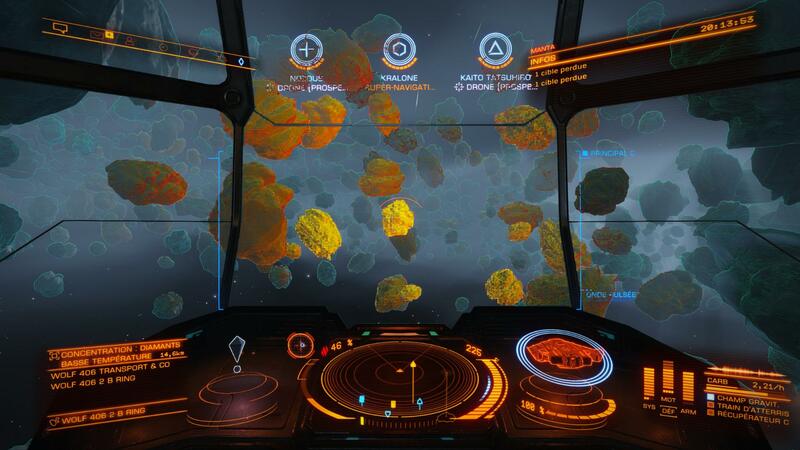 Discern the Metals, Minerals and Materials that you will gather in the asteroids fields. You will gain time, and credits. Don’t spend all of your credits in upgrading your FSD. 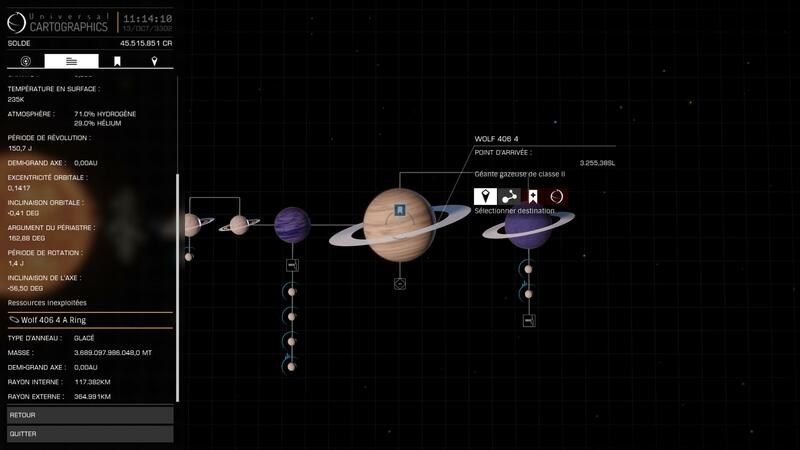 However, the farthest your will jump, the better (~15 to 20 LY is great already). 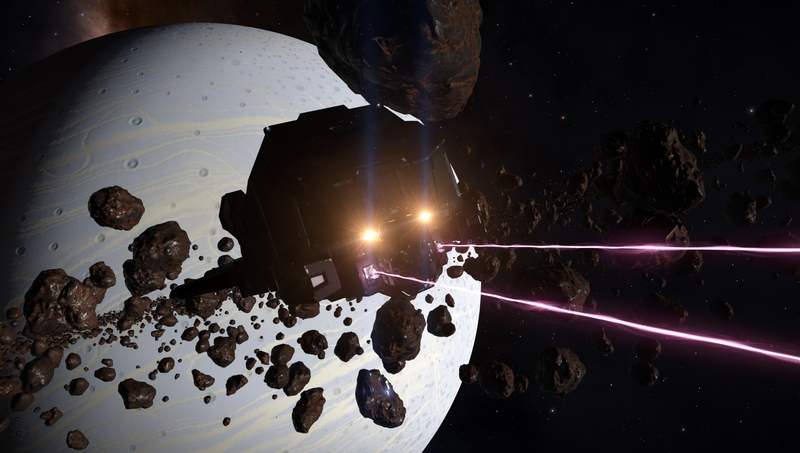 Focus your efforts on mining speed, collection speed and a Refinery suited to your miner’s gameplay. Weapons to defend yourself against pirates if you want to. Turrets on slow ships and guided weapons or quicker ones. Keep in mind that pirates can kill you pretty easily. Of course you can mine with any ship, however some ships are better at mining than others thanks to their modules sizes and space. 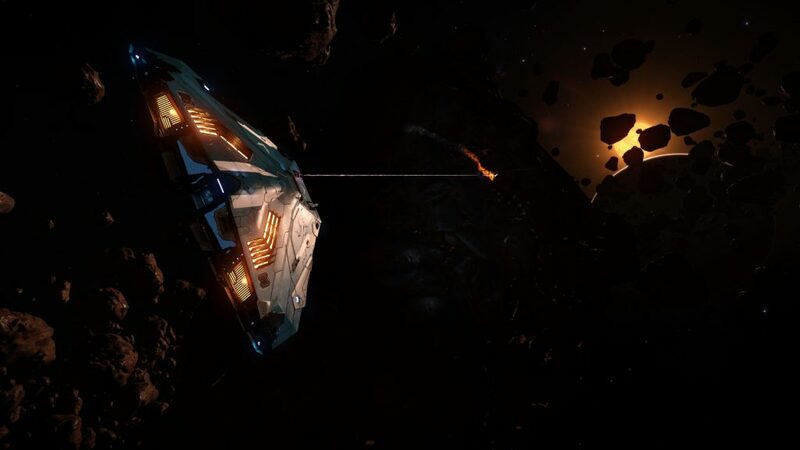 With a proper and outfitted mining ship, you will be able to make more profit out of these great asteroids fields with a minimum effort. 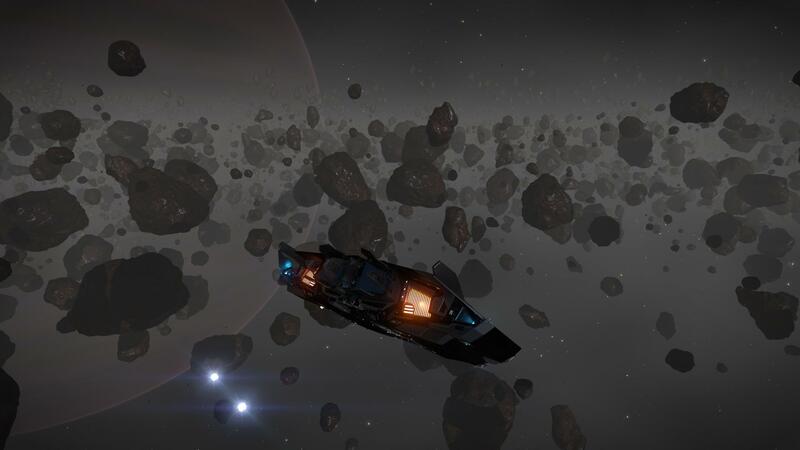 The ships are built differently depending on your play-style, the distance to your preferred mining area, the items that you want to mine. There is three distinct styles that we will detail in the next chapter. 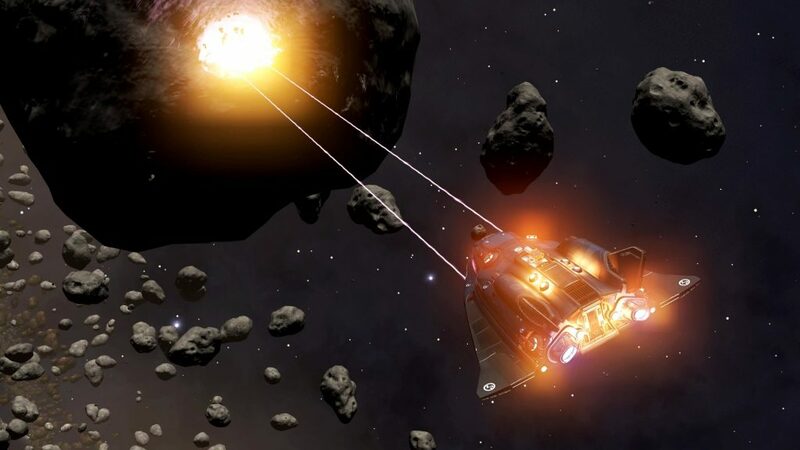 Mining Laser – [Surface Mining] The one and only tool that allows you to mine items from the asteroids, it is mandatory. 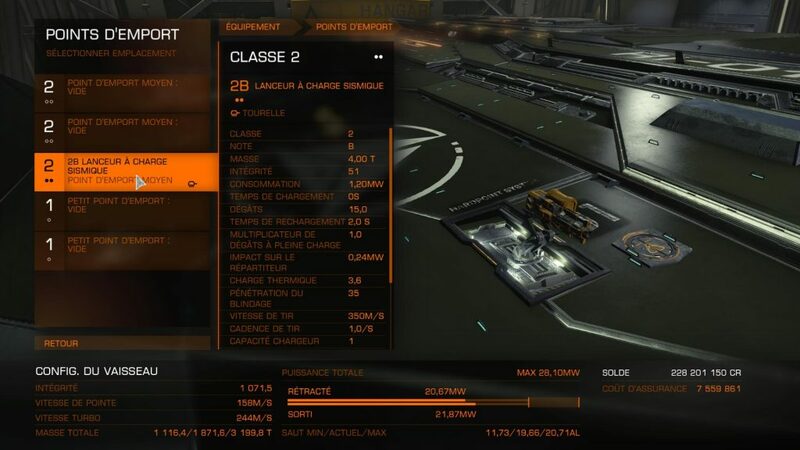 You can’t use it to fight enemies // These modules exist in two classes: C1 allows a slow mining with minimum energy required, and C2 allows you to mine faster, however it require more energy from your generator and distributor. 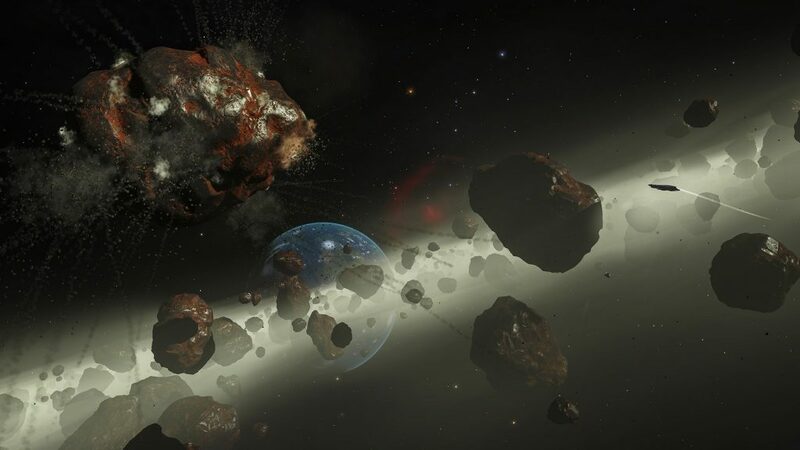 You can equip as much as you want in order to increase your mining speed, but keep in mind that you need to collect the mined items quickly as they will decay in space. Balance your ship for a fast mining speed / collector speed. 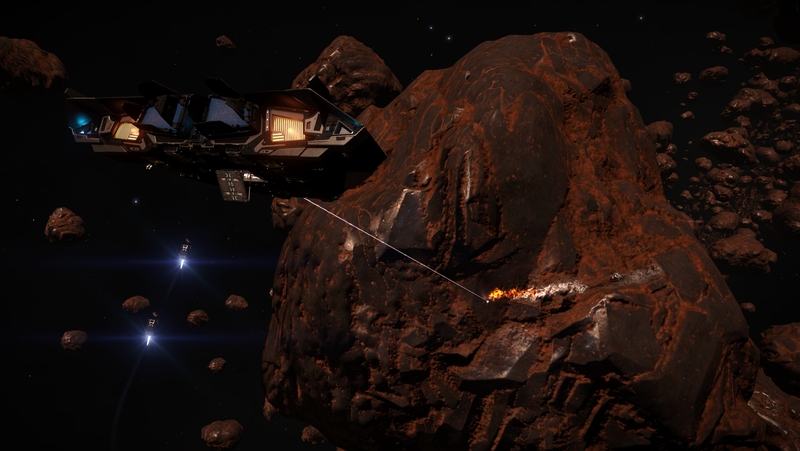 Abrasion Blaster – [Surface Mining] A new hardpoint module with which Commanders can shoot at Surface Deposits, breaking them off for collection. Whether you do it manually, using the cargo scoop, or with limpets, you’ll be able to collect the resources at your leisure. Sub-surface Displacement Missile – [Surface Mining] This new hardpoint module is used for harvesting Sub-surface Deposits. Described as a ‘drill on the end of a missile’, this digs in to the rock at the point of impact. The cockpit interface will then show the displacement missile travelling through the rock. Holding down the trigger and releasing at a the optimal time displayed by the interface will allow you to recover valuable sub-surface minerals. Seismic Charge Warheads – [Deep Core Mining] Certain asteroids, as identified by the fissures discovered on their surface, can be completely broken apart to reveal a treasure trove of resources. 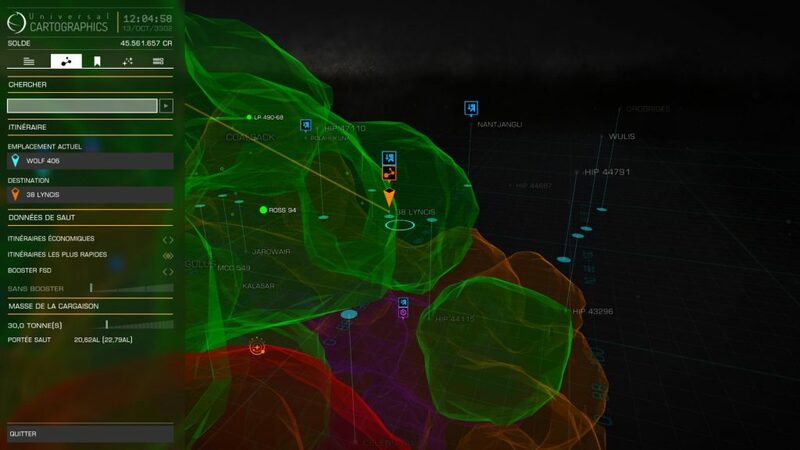 Commanders will place Seismic Charges within the fissures at a particular charge level. Refinery – This module exists in four sizes, C1 to C4, and it is also mandatory to refine your mined items into units of metals and minerals. Gathering chunks of an element out of an asteroid will increase the % refined of this element. When it reached 100%, you will be granted with 1 unit of this element // The higher Class is your Refinery, the more bins you will have in order to store the chunks of elements before refining them (A>B>C>D>E). If you mine everything, it is better to buy a large refinery. However if you only target certain elements, it is wise to buy a smaller Refinery. Prospector drones – This module will configure your limpets so they can prospect asteroids and return some information upon acquisition (when the drone hangs on the asteroid). You will know the % of metals and minerals into the asteroid you’ve prospected as long as their affluence in materials. 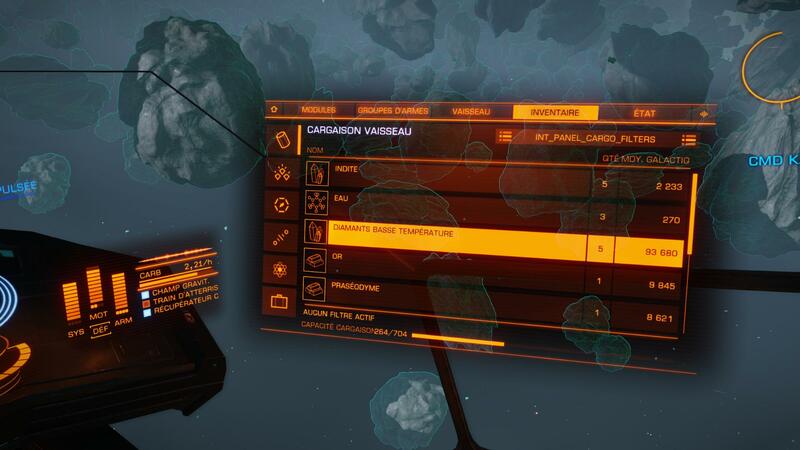 Please note that prospecting an asteroid before processing a mining on it will double the amount of elements that you can collect out of it. 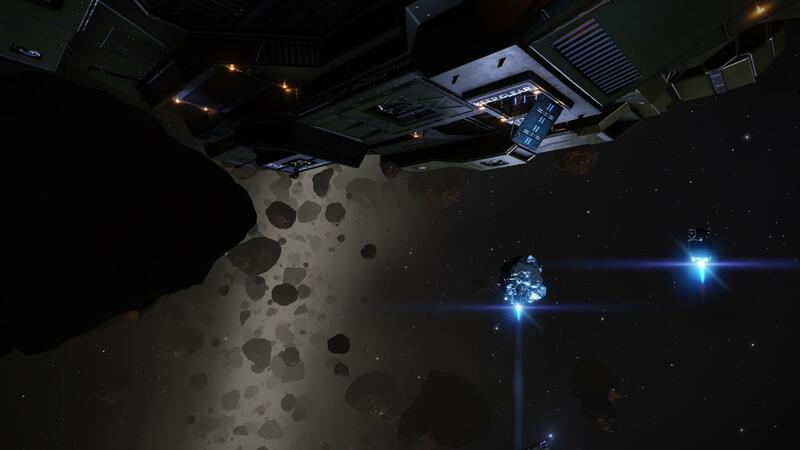 Collector drones – This module will configure your limpets so they can collect the chunks of asteroids that you’ve mined. They will directly haul the element to your cargo bay, don’t forget to open your cargo hatch so the drones can put these elements into your Refinery. Of course, you need as much Free space in Cargo as possible ! Don’t forget to buy limpets thanks to the Advanced Maintenance panel in the adequate stations. Generally, you can fill you cargo with 2/3 of limpets. If you want a Shield Generator, a Fuel Scoop, a Discovery Scanner, a Detailed Surface Scanner, Weapons, … you’re free to do so depending on your play-style. ◘ Here are some builds examples, keep in mind that we now have several gameplay for the Miners. We’ll talk about these gameplay in the next chapter, so you can fit exactly the right tools for your “Deep Core” or “Surface” mining needs. Make it less expensive by replacing the A rated modules for some C or even D.
16 units of cargo and a collector to gather the chunks of asteroids. Great thrusters and utility modules for quick escape under cover of defenses. The goal is to find the best asteroid to mine with lasers and then to extract the valuable resources. If you like to do it the old way, you can remove the Collector and add 4 freight units; You will have to collect the chunks yourself with your cargo scoop. 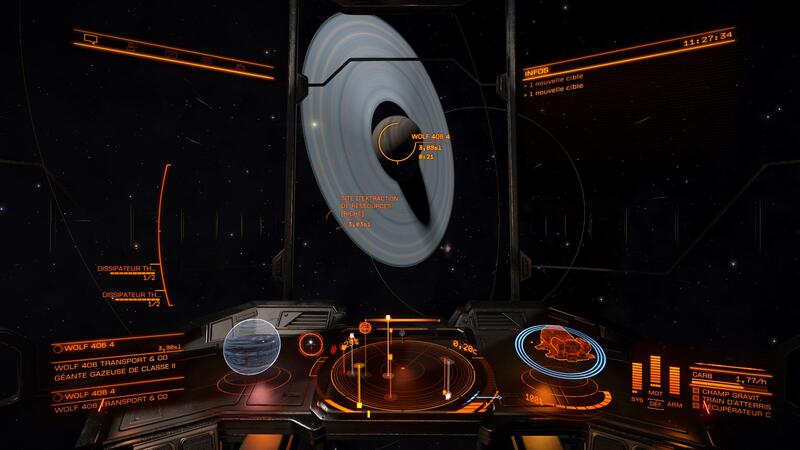 32 cargo units, the Cobra MkIV allows me to go explore new rings and to probe them for my “Best mining spots”. 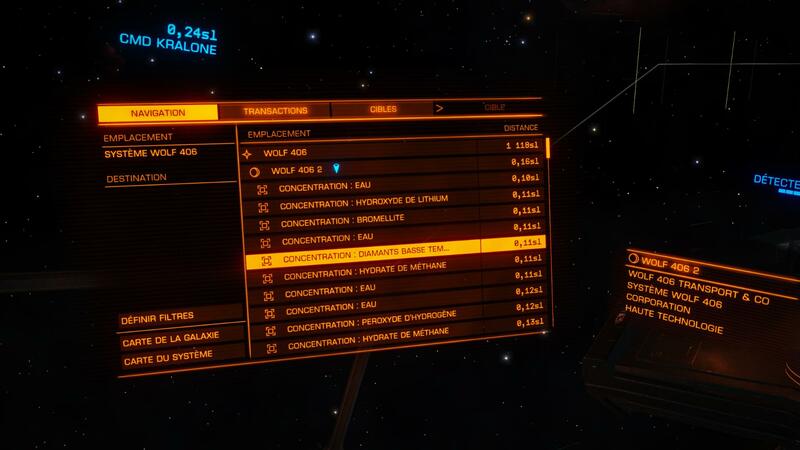 It has a good jump range, 26AL thanks to a Guardian FSD booster; Replace with more cargo if you don’t have this technology. 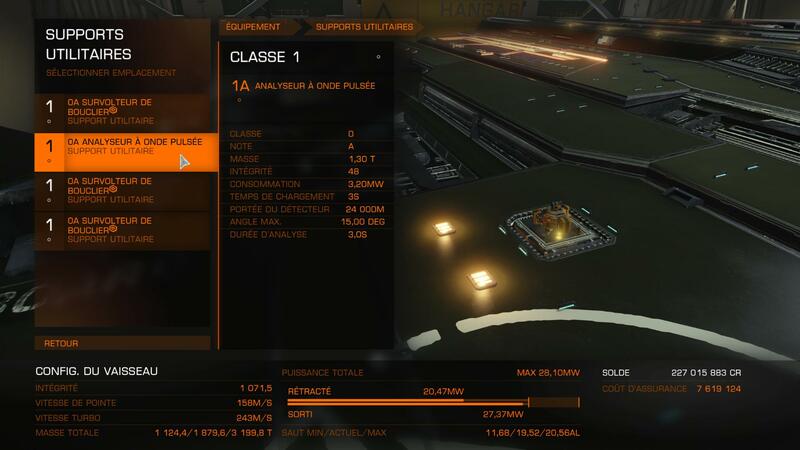 32 units specially prepared to mine the most valuable asteroids in the busiest rings. Your fighter will be there to protect you while you gather the highly valuable resources. The mining machine, 224 cargo units ready to eat all your asteroids chunks and refine them into great resources. 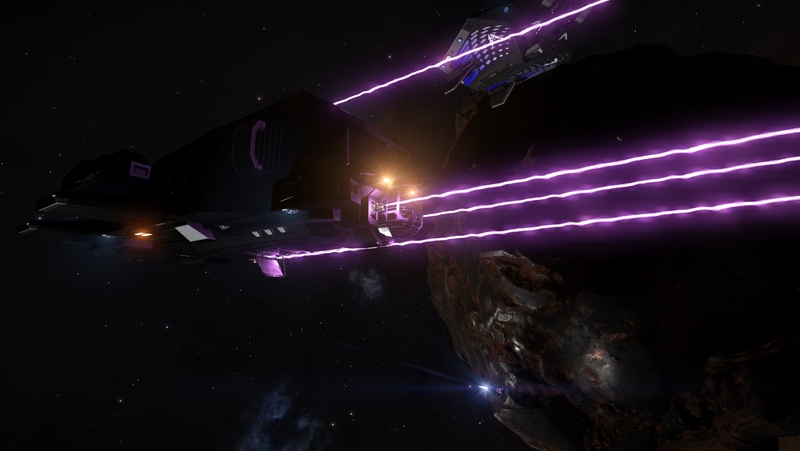 You are using 4 mining laser. 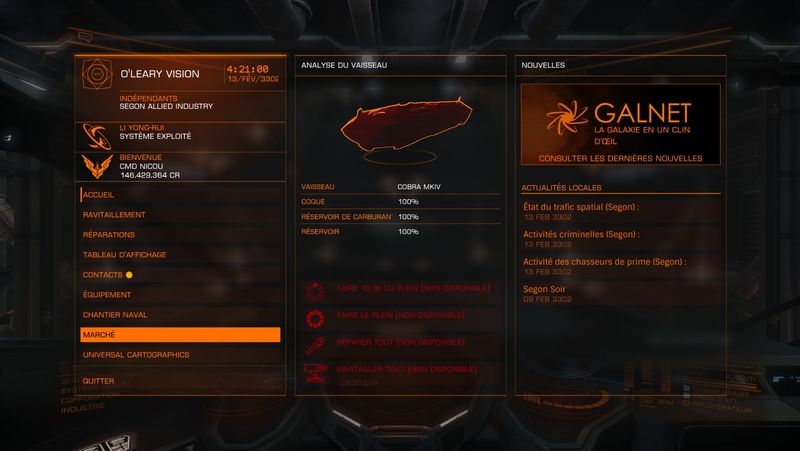 Feel free to switch a Cargo C5 for an additional Collector. 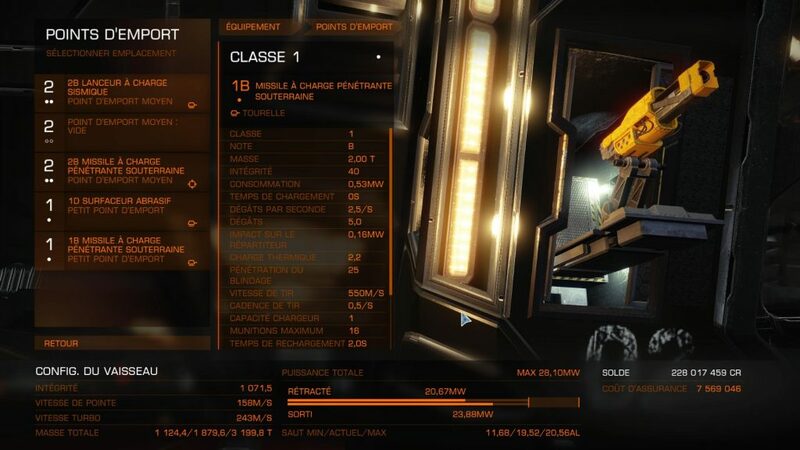 192 cargo units and a price more than triple a Type 7 for much better protections. You have absolutely everything that a miner could dream about! Its price comes from improved defenses and additional hardpoints. Large, slow, fragile but with 656 cargo units. Do you feel lucky? 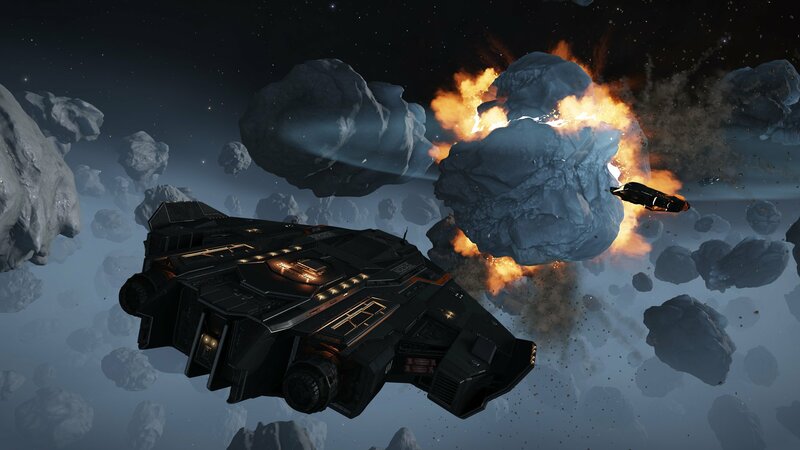 Aim for the all in with the Type 9 and its medley of tools for all the mining specialists. Even better in Multicrew to perform both gameplays at once. There are three mining styles : the Focused Miner, the Mass Miner, and the Group Miner. The Focused Miner chooses carefully the elements he wishes to gather while prospecting/probing the asteroids rings. These pilots need to find the best elements thanks to their pulse wave analyzer, those that sell very well at the best price. It is generally a type of gameplay for small to medium sized ships as they have little space in their Cargo. 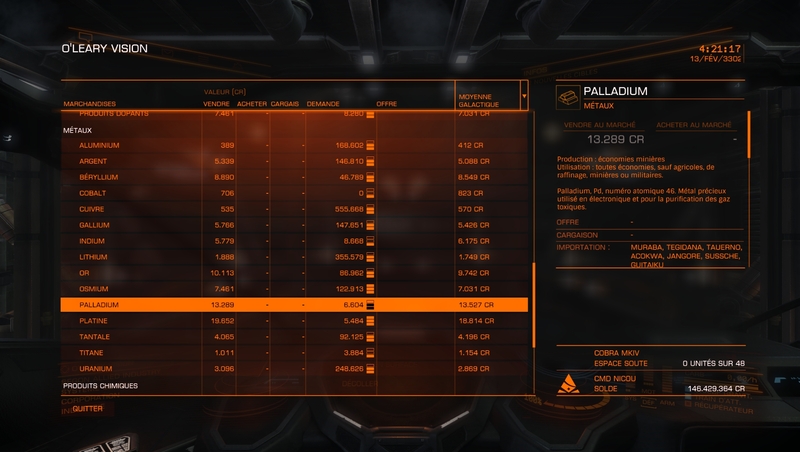 Don’t forget that prospecting doubles the quantity of elements mined on an asteroid; if it’s full of Painite: HOORAH! The Mass Miner has a lot of space in its Cargo hold. 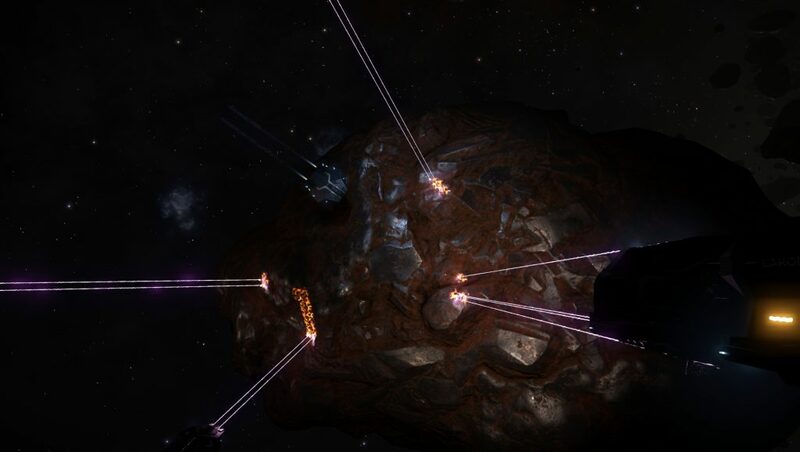 Miners playing this type of gameplay have long-lasting Collector drones and several Mining lasers in order to mine as much elements in a minimum of time. 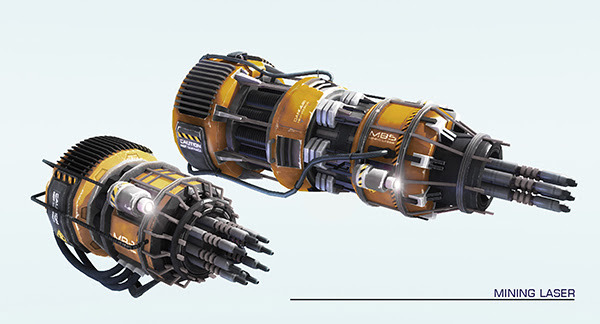 You will have a high mining speed and collection speed thanks to your multiple Collector drones. Try to aim for the top metals and minerals when possible, generally by using your Pulse Wave Analyzer. Usually, you already know what you will find in the area you’re about to mine in. The miners – Equip your Mining tools & lasers + Prospector drones! Your goal is to extract as much elements from the asteroids near your cargo-ships. This is usually played by Sidewinder, Adder, Cobra, … Think about specialization, you need to complete the other miners. I – Where should I mine? 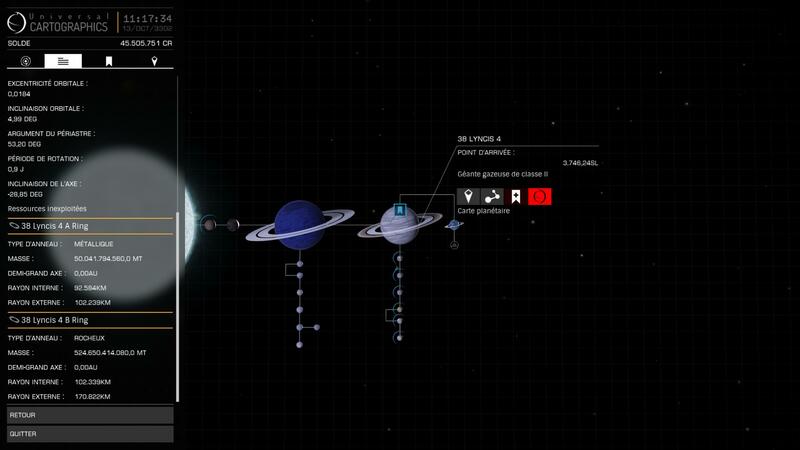 First, open your galactic map and check out the systems nearby. Note that the more you are in the center of the Human bubble where the traffic is huge, the less great areas you will find as these are heavily exploited. 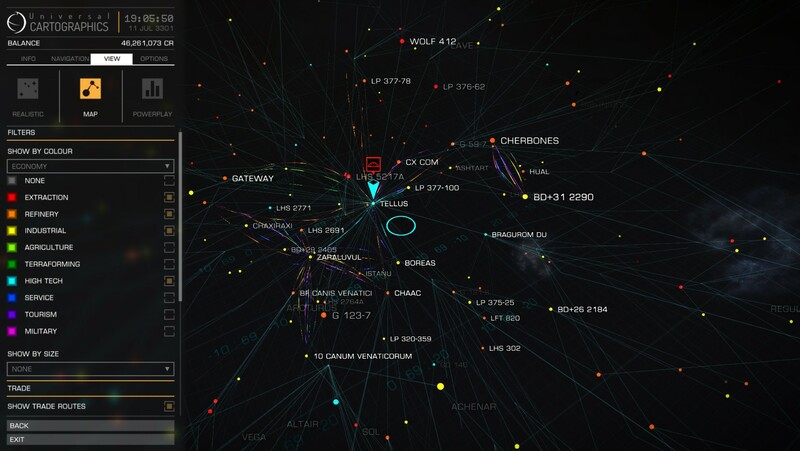 Use your Discovery Scanners to analyze the systems and gather details. 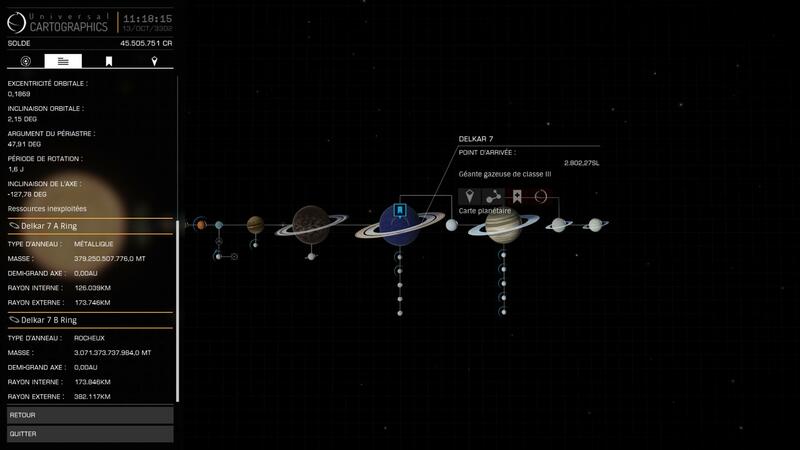 This will help you in finding the right spot for your mining session. 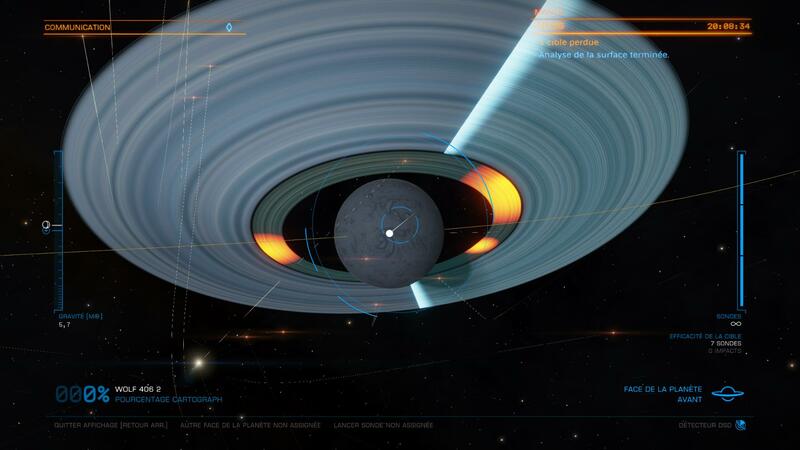 Don’t forget to bring a Detailed Surface Scanner to toss probes at the asteroids rings. 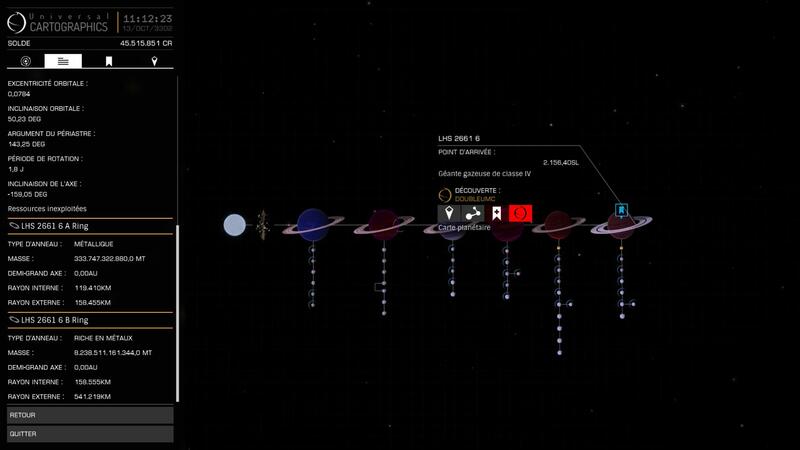 It will display the best spots in the asteroids rings. [X] Asteroids belts, they can appear between bodies or close to the star – Not interesting, forget about them. 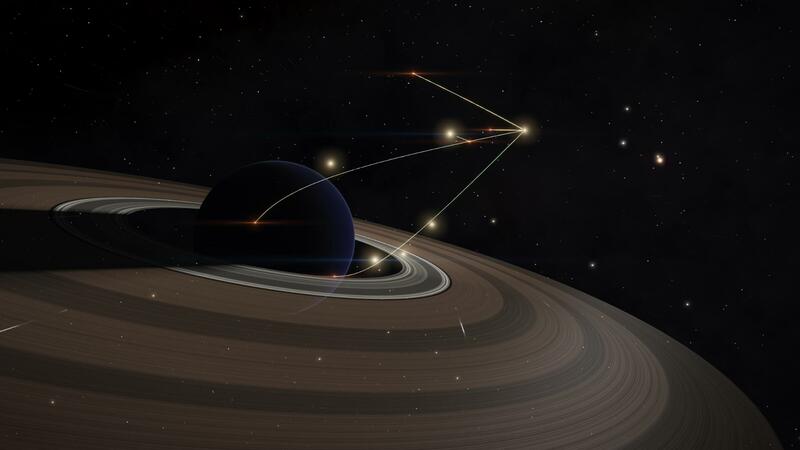 [✓] Planets’ rings, orbiting around high gravity bodies – You need to aim for these. 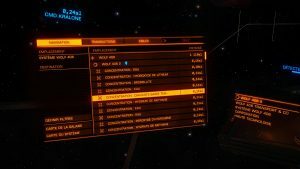 [X] Low Reserves – Hmmm, still nope! [✓] Common Reserves – Sure can do better. [✓] Major Reserves – Ok, let’s bookmark it you can mine there. [✓✓] Pristine Reserves – Very rare, if you found an Icy or Metallic one: Congrats, keep it and make profit out of it! Keep in mind that the more time you pass looking for an interesting field, the less time you will loose wandering in space. Now here are several interesting systems known for their huge and excellent Icy, Metal Rich and Metallic asteroids fields. A station within reach is often welcome in order to sell quickly your items, but generally these buy your good at lower prices. It all depends on your play-style. Awww, credits everywhere! Asteroids. I mean, asteroids. Their textures mush be metallic-ish and smooth or white and icy. 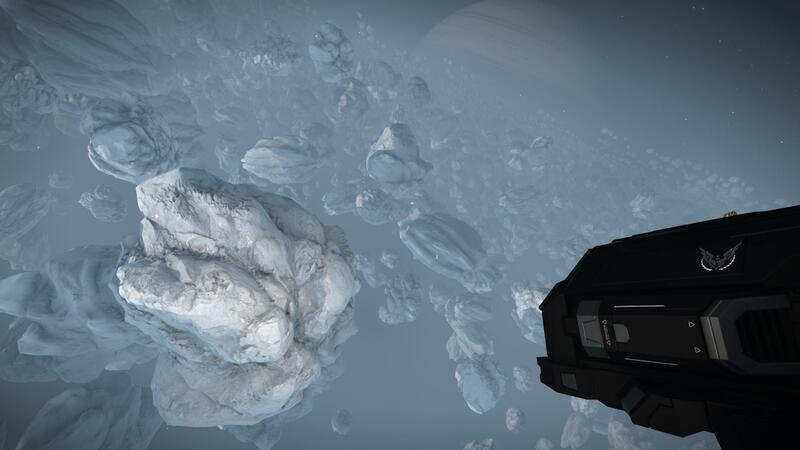 Again, don’t forget that Prospector drones will double the quantity of elements that you can mine out of asteroids. Approach the chosen mining site. 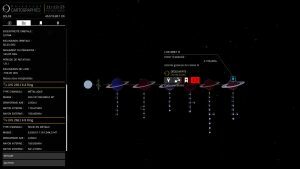 Reduce your supercruise speed to 75% to get there smoothly. Start your Pulsed Wave Analyzer to choose your asteroids. The rock must be vivid yellow for the highest value. The more a rock is red-orange, the less interesting it is. Remember to launch your collector drones if you have them, and open your cargo hatch. If the prospecting drone has indicated elements hidden in the asteroid’s core, it’s time to launch Seismic charges with the right charge level. Note that fissures have different strength. The lower this strength, the less the tool will need to be charged. The asteroid explodes after your Seismic charges process, and many chunks of items can then be gathered. Other chunks hung inside the cracked asteroid, for you to mine. When a Collector drone brings a fragment of ore in your ship, it will be added to the bins in your Refinery. The better Refinery have more bins than the lower classes. A bin must have or exceed 100% to create 1 unit of this ore. The latter will then be added to your cargo. If you don’t have an interest in an element in your bins, feel free to vent it. This will free the spot. Fill your cargo until you cannot hold more, and then head to the station where you will sell your findings. III – Where should I sell my ores? Once you’re ready to sell the fruits of your labor, have a look at your Cargo. 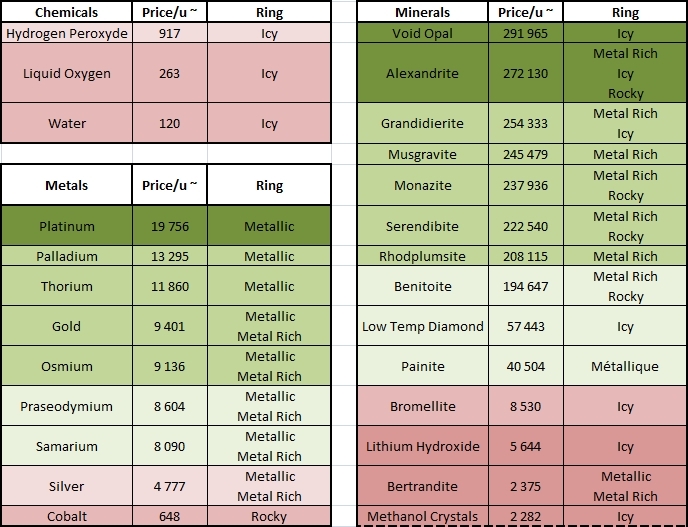 Here you should have Metals and/or Minerals: these two elements are best sold in different stations in order to make the most profit. However, in order to gain time, we would like to sell them in the same place. Let’s check for systems’ economies. Open your map as specified with the image below and highlight “Extraction”, “Industrial”, “Refinery” and “High-Tech”. Then sell everything in the stations depending on their economies. 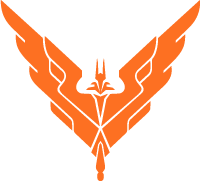 Check the Trader’s Bible from CMDR Prometheus Darko. 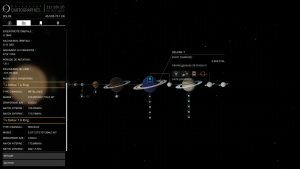 Osmium and Painite are well sold in the Industrial stations. 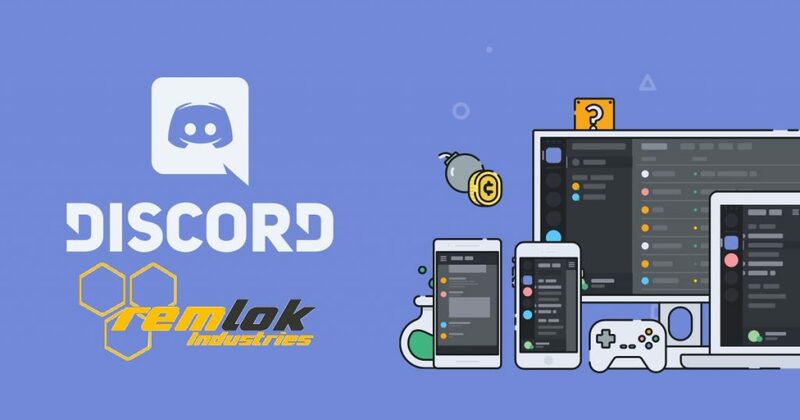 Tadam, here are your credits! 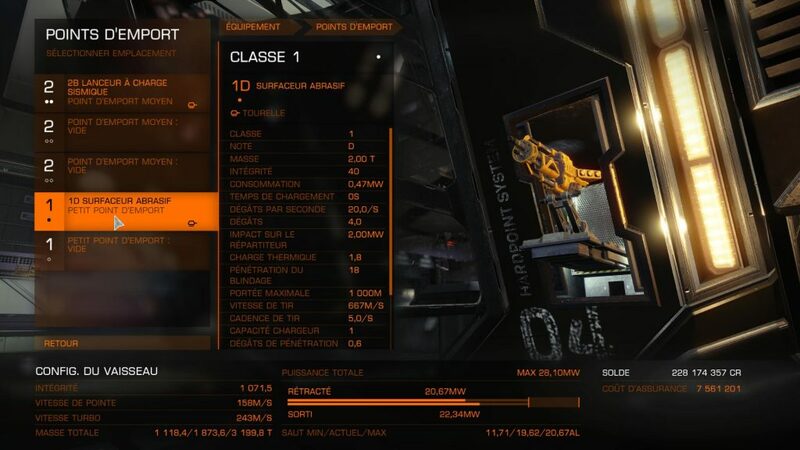 Maybe not the best profit you can do in Elite: Dangerous but it’s pretty fun and you still can earn a lot. 1) Before going on an adventure, check the Missions Board! You could find some interesting missions, bring even more credits into your account. 2) Even if your Cargo is full, let’s fill the Refinery as well! 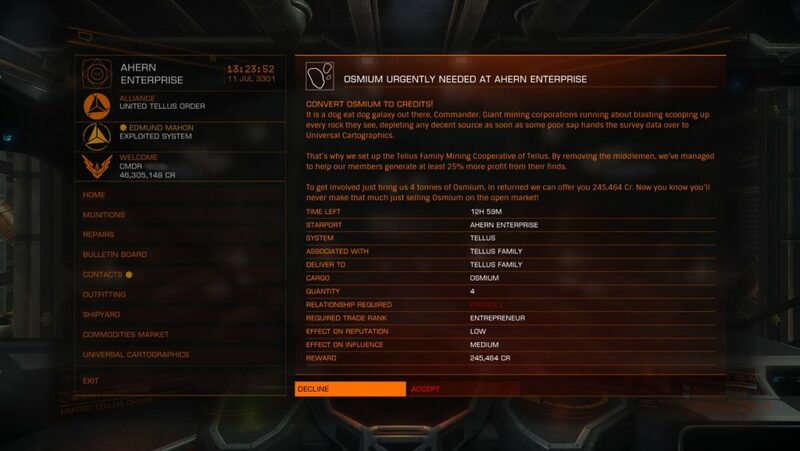 Once your Cargo is all sold in a station, refine these items and sell the freshly made units of ores. 3) An asteroid spins on itself, be careful about your moves and its moves! It is very important to put your lights on, or to mine in a sunny area. 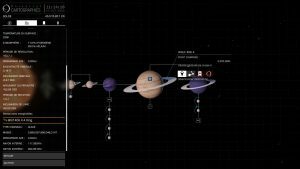 Avoid the dark areas “behind” the planetsI. 4) The limpets/drones are sold in the Advanced Maintenance panel of stations, if they provide this type of service. They actually take space in your cargo. Let’s fill 90% of your cargo if you are a Focused Miner, or 50% if you are a Mass Miner. Any comments or error found? Feel free to share your thoughts with us!